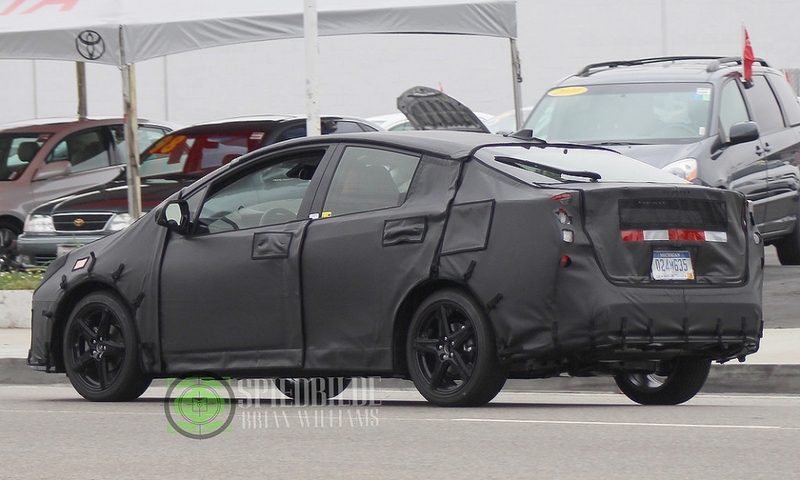 Based on new spy photos, the rear end of the redesigned Prius hybrid slopes down further than the current model, giving the vehicle more fastback styling, just like the next-generation Volt. 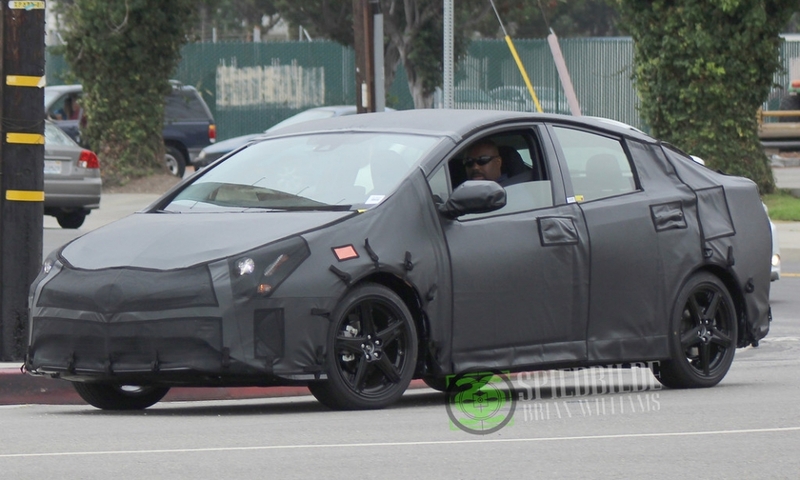 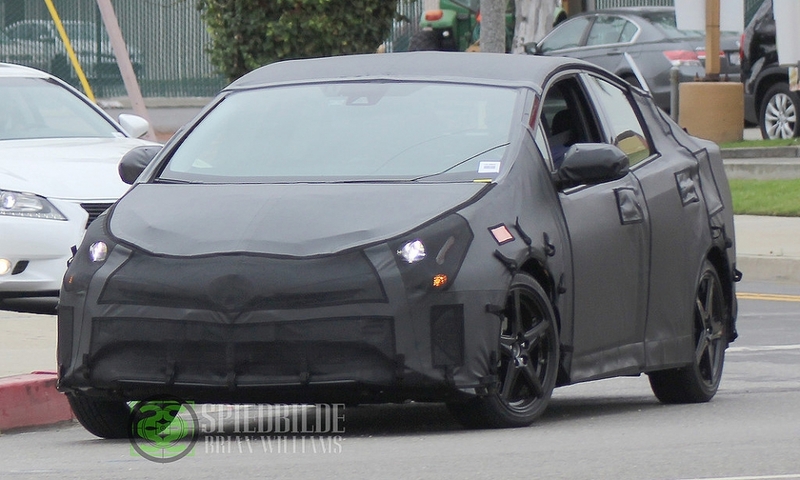 The next-generation Toyota Prius hybrid may be getting a lot closer in looks to the 2016 Chevrolet Volt. 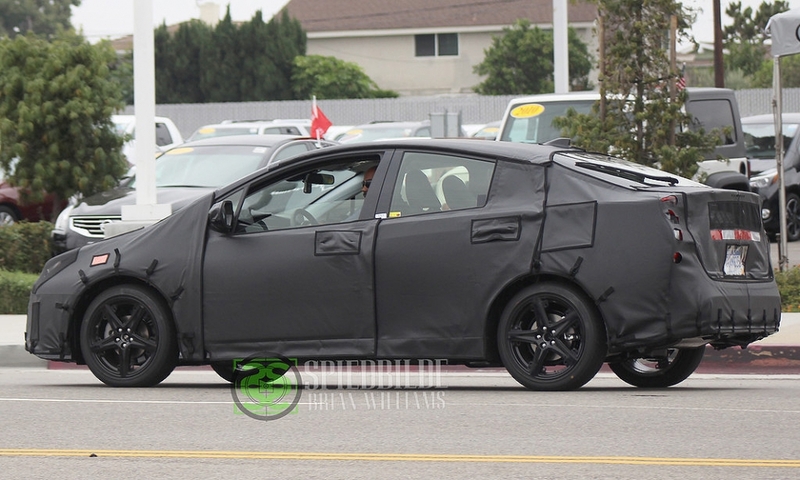 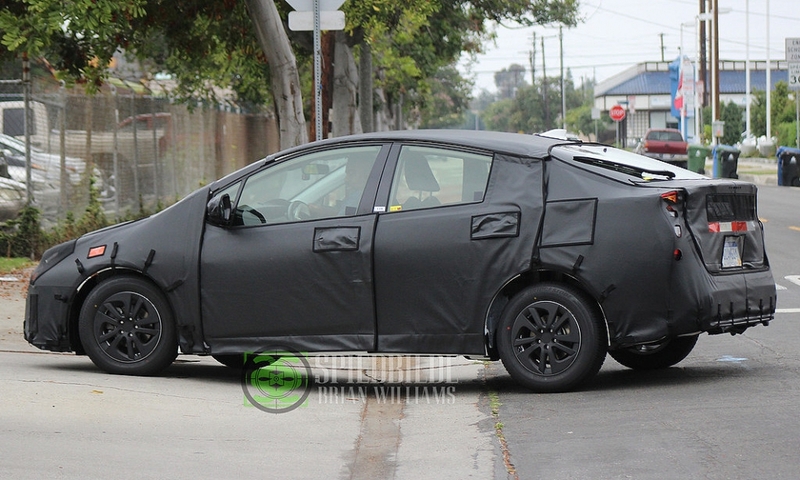 A five-door hatchback wearing heavy disguise spotted during testing in California could offer the best look yet at the next Prius. 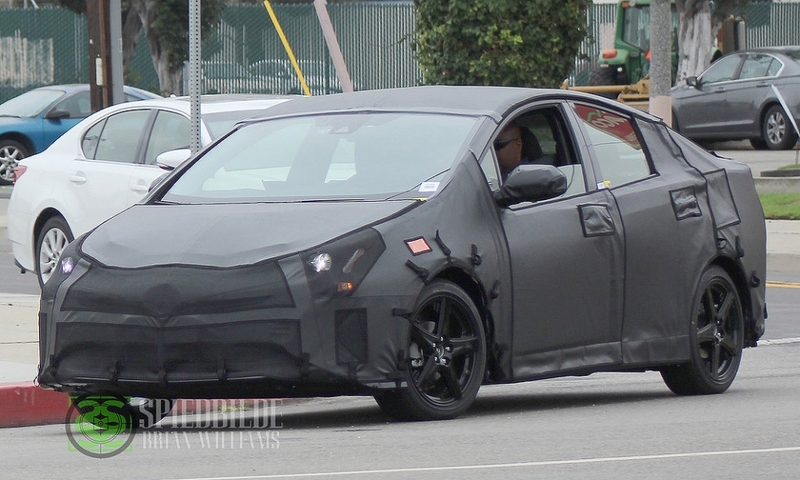 Toyota plans to unveil it sometime in the third quarter. 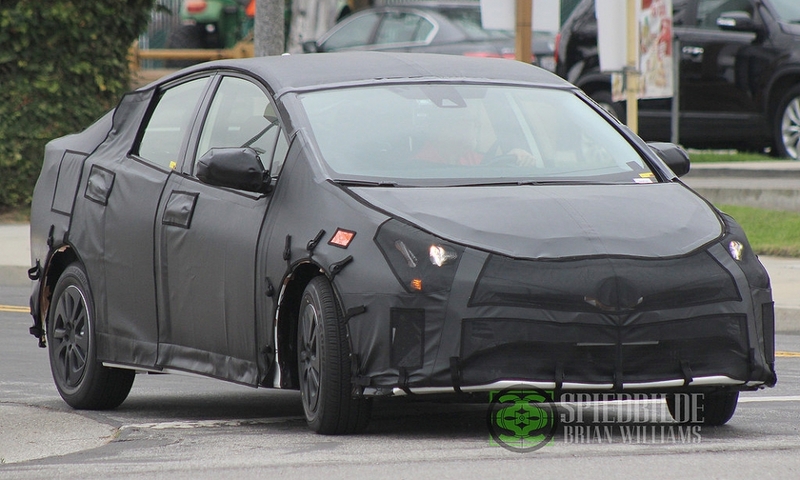 The vehicle in the spy photos appears to have air vents in the lower sections of the front fascia, continuing a styling theme that debuted on the Mirai fuel cell car. 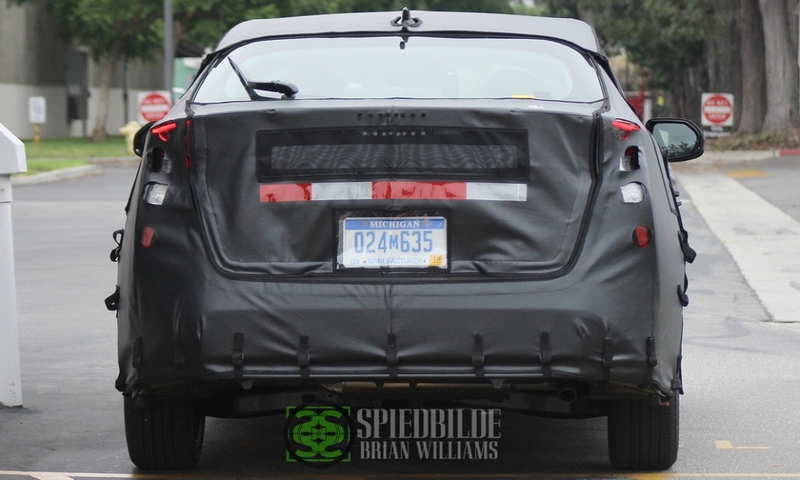 The rear end of the car in the spy photos slopes down further than the current Prius, giving the vehicle a fastback look, just like the next-generation Volt, which arrives at dealers this fall. 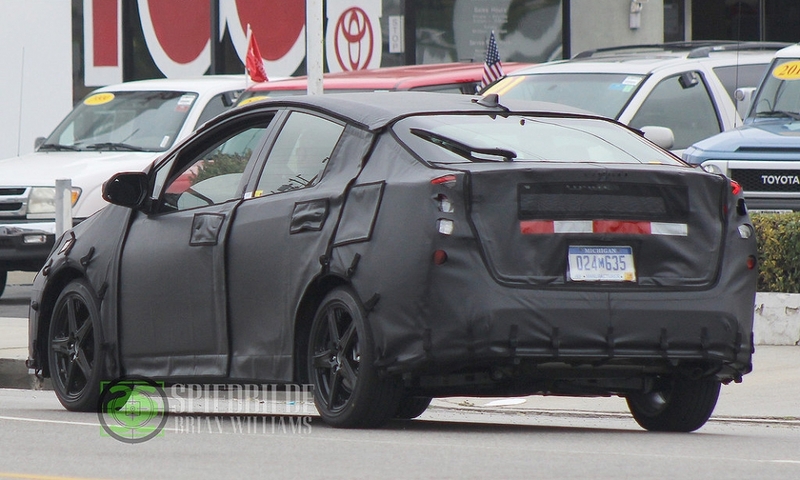 Toyota has promised an increase in the Prius’ 50 mpg combined fuel economy rating, and some Internet sources say 54 mpg may be the label number.